My focus is on trading short-term swing trades that last 1-6 weeks. 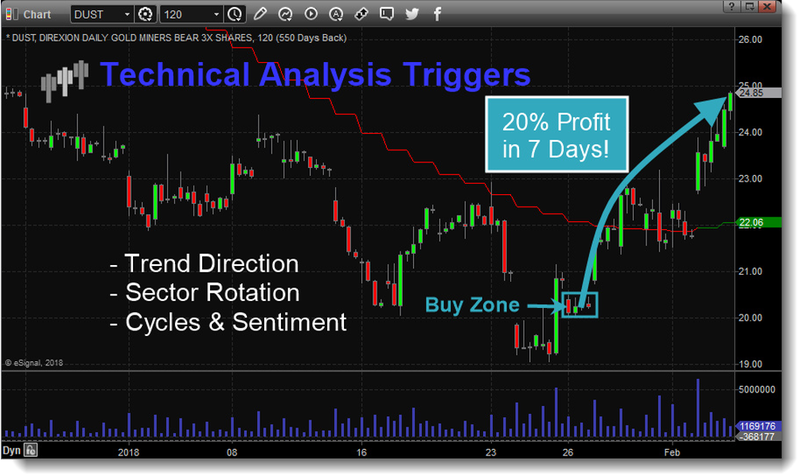 These trade setups allow us to take advantage of quick, explosive price movements in the market along with trends to provide a steady stream of trades each year. These wave-like patterns are too small for hedge funds to take advantage of and are too lengthy for day traders. 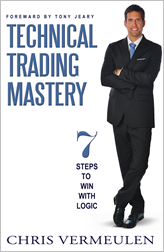 This provides us with a sweet spot in the market coupled with my unique and proven forecasting technique giving us a “winning edge,” which we can take full advantage of. We uncover cyclical trading patterns that show you where big money is going, and how many days it will take the market to get there! Through the use of inverse exchange-traded funds, we can generate profits when the stock market or commodities fall in value. This means we don’t care which way the markets are moving, and we just want upward or downward price movement. These inverse funds rise in value as the underlying investment fall, and because price always falls quicker than it rises, big profits can be made fast as price collapses. So if you want your trading and investment accounts to grow faster than you thought possible during a time when everyone else is watching their investments and life savings evaporate, join this newsletter and our group of like-minded investors today!